Spring is here and if you're looking to decorate some easter eggs, here's your chance. Spring is here and if you're looking to decorate some Easter eggs, here's your chance. GRAND LEDGE, Mich. — Spring is here and if you're looking to decorate some Easter eggs, here's your chance. 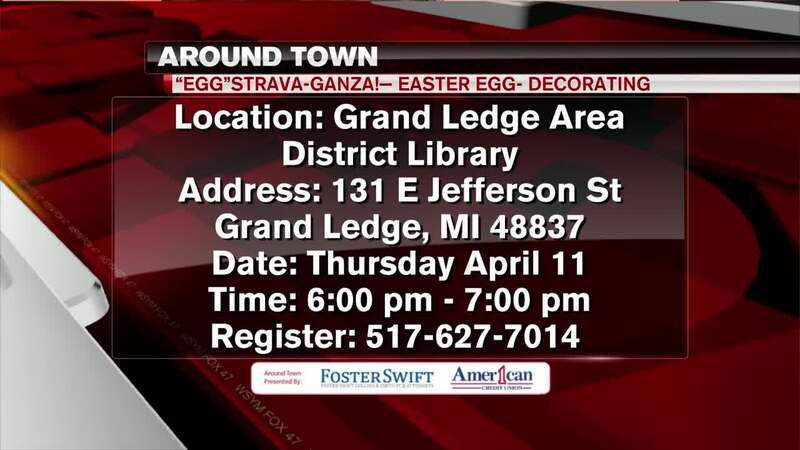 This Thursday, the Grand Ledge Area District Library is hosting an Egg-strave-ganza. Guests can decorate amazing Easter eggs with dye, paint, glitter, feathers, and more. You must supply your own hard boiled eggs and can have up to 6 per person. Call the number on your screen to register.